The project’s customer is “Electronic Engineering-Medicine Co” (ZAO Eltech-Med). The area of customer’s activity is development and production of X-ray machines for industry, medical diagnostics and science research. Altami Studio provides control over number of cameras, quality and usability of images captured by them, including the processing of X-ray images (such as color conversion). Altami Studio also provides Image sizing and tools for accurate measurements for objects on the images. This application controls the quality of both the individual units of the grain and their quality in general. 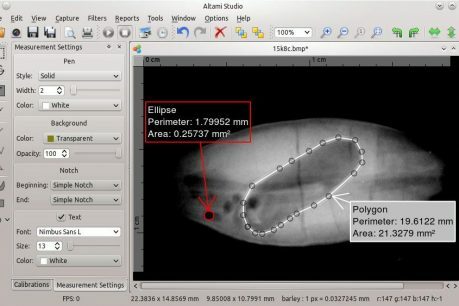 Study of the internal grain structure with Altami Studio allows detection of fractures, fragmentation, seed germination, damage, pest infestations, and various other anomalies visible on X-rays. The app also measures the size of seed defect, and provides statistics to determine the percentage of such defects. Altami Studio software to manage image capture devices, manual and automatic measurement of microobjects, and real-time image processing and analysis. A non-destructive control method is used — X-ray equipment in conjunction with Altami visualization system and software.The process of analysis is X-ray irradiation of the grain being studied and the subsequent registration on the X-ray sensitive film or the screen of their image. Then, the image is captured and transmitted to computer processing. Control the quality of seeds using X-rays and image processing software. 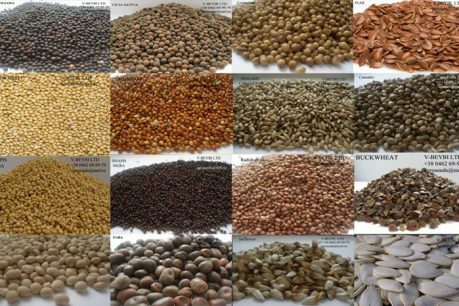 Tool to inspect seed material during harvesting, storage and processing, as well as the stability of its production directly depended from seed life-cycle stages. Crop production is most important agricultural industries in Russia. Seed selection plays a major role for high yield of spring and winter wheat, barley, rye and other crops. It is important to be able to inspect the integrity of the seeds for obvious and latent defects. Diagnostic complex of the external and internal structure of cereal seeds has been designed and implemented for productivity growth in agriculture. 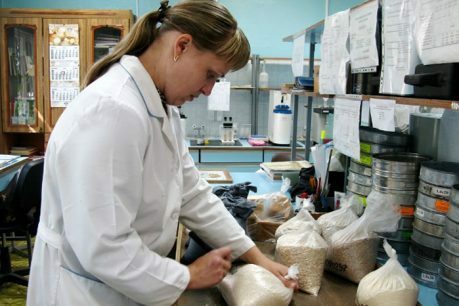 Seeds with high varietal and sowing qualities allow more than 30 % increase in cereal yields.